Commerce and Consumer Affairs Minister Jacqui Dean is telling the banking industry to pave the way for greater retail payments competition by next April or face regulation. Dean made the call in a pre-election letter to Payments NZ CEO Steve Wiggins that was copied to the CEOs of the country's major banks and senior executives of other key interested companies. This move comes after the Government last year launched public consultation on retail payments competition amid concerns New Zealand retailers and consumers pay more than overseas counterparts for credit and debit card transactions. Among changes Dean is calling for is for banks to enable open banking giving customers greater access to and control over their own banking data, and making banks give third parties access to their systems. If the changes don't materialise she says potential areas of regulation include merchant/retailer fees, and the terms of access into bank systems. "Firstly, I would like to encourage Payments New Zealand to advance its Payments Direction initiative, and in particular initiatives that can enable payments innovation to develop and offer a platform for viable alternatives to existing payment options in the New Zealand market. As I understand it, the initiative is intended to result in technical and informational enhancements supporting new payment options, but will need to be accompanied by willingness by the banking sector to provide reasonable access to their systems and customer account data," Dean wrote. "Secondly, I am aware that Payments New Zealand intends to engage on this work with third parties (such as fintech start-ups) and merchants. From my perspective, this engagement is a vital first step. For New Zealand’s future payments platform to meet the needs of New Zealand as a whole, not just the interests of incumbent payment providers, its development will need broad buy-in from across stakeholder groups." "Thirdly, I expect to see improvements to the transparency and usefulness of information provided to merchants by both banks and schemes, to enable them to assess their options for negotiating better merchant service fees. In particular, the New Zealand Bankers’ Association has suggested the provision of separate debit and credit fees to merchants and notification of fee changes. I consider that the banks could go further to improve merchants’ decision making (and possibly collective bargaining power) by publishing weighted average annual debit and credit interchange fees, broken down by card-present and card-not-present transactions. I expect this information will contribute to the Government’s assessment of whether further regulation is warranted," says Dean. Dean is asking Payments NZ to report back to her by April 2018 on "how the industry is collectively progressing these three areas of work." Dean says she will also seek officials’ advice on the progress being made, any alternative views expressed by relevant stakeholders, and whether further work on regulatory options is required, taking into account overseas developments. "I expect this advice to take account of any work the industry is doing to progress the three items I have outlined above," says Dean in the letter that was sent in early September. Dean (pictured) was re-elected as National Party MP for Waitaki in the September 23 election. She's currently caretaker Minister for Commerce and Consumer Affairs given a government is yet to be formed post-election. Payments NZ describes itself as the governance organisation at the heart of New Zealand’s payments system. Its shareholders are ANZ (26.79%), Westpac (22.97%), BNZ (19.40%), ASB (19.11%), Kiwibank (4.79%), TSB (2.60%), HSBC (2.20%), and Citibank (2.19%). In October last year then-Commerce and Consumer Affairs Minister Paul Goldsmith said the Government was "prepared to consider regulatory options" if competition failed to moderate retail payments costs. Goldsmith made the comment as he released a Ministry of Business, Innovation and Employment (MBIE) issues paper entitled Retail payment systems in New Zealand. In the paper MBIE said it "has found that the market dynamics suggest cause for concern in both the credit and debit card markets." MBIE detailed five issues being; economic inefficiency in the credit card market, increased prices for all consumers with only higher-income consumers benefiting from rewards, emerging inefficiency in the debit card market, barriers to entry in the debit market, and impact on small business. The nature and scale of the issues identified in the credit card market, and the potential for them to develop in the debit market, warrant additional work to address them, said MBIE. "Similar issues have been identified around the world, and it is only in countries where some sort of regulatory intervention has occurred that these impacts have been addressed," MBIE added. The MBIE paper argued current market incentives drive at least $45 million per year of additional cost to the economy through the use of more expensive credit card networks compared to lower cost EFTPOS networks. MBIE also estimated merchants, or retailers, have to increase their prices to all consumers by around $187 million per year to fund rewards paid to some credit card users. This, MBIE argued, leads to an annual "regressive cross-subsidy" of $59 million from low-income to high-income households. The MBIE paper followed a November 2015 Retail NZ report that suggested NZ retailers and consumers pay substantially more than overseas counterparts for credit and debit card transactions. Goldsmith was replaced as Commerce and Consumer Affairs Minister by Dean last December. Meanwhile, a cabinet paper in Dean's name notes that she wants to see greater competition in retail payments systems. This means a system that offers choice s to retailers and consumers at more competitive and transparent prices. "Reducing barriers to entry here could support the growth of New Zealand's small, but high performing fintech sector," she says. In the cabinet paper Dean also refers to her letter to Payments NZ, noting it will send a strong signal to the industry that progress on initiatives that result in favourable competitive pressures could reduce the need for regulatory action. "Such regulatory action could include ensuring governance arrangements are producing optimal outcomes for New Zealand collectively, regulating merchant fees, and establishing terms of access into bank systems. It is worth noting that regulation that limits merchant fees and open access to bank data are common regulatory tools used, or being introduced, overseas," says Dean. "In New Zealand and overseas, fintech firms are pushing for consumers to be able to permit third parties (e.g. budgeting apps and payment service providers) to access the customer data held by banks. Moves to enable this are called ‘open banking’. The United Kingdom and Europe have recently adopted quite top-down and government-led implementations of ‘open banking’. Australia has announced it will also implement open banking measures and has commissioned an independent review to determine how open banking should be implemented. My expectations and requested report back from the industry will help incentivise industry-led initiatives that are in line with these overseas developments." She says government officials will observe how open banking plays out in other jurisdictions and how the local industry responds. She notes developments in Australia will be particularly relevant given that market is dominated by the parents of NZ's big four banks. "I propose to report back to Cabinet by July 2018 on progress and whether any next steps are warranted," Dean says. The table below comes from Dean's cabinet paper. In this year's Budget the Australian Government announced plans for an open banking regime to be introduced in Australia. It has subsequently commissioned an independent review to recommend the best approach to implement the open banking regime, with the review to report by the end of 2017. Also in Australia Macquarie last month launched an open banking pilot. At that time interest.co.nz asked NZ's big five banks about open banking. Only ASB and Westpac expressed any enthusiasm for the concept. "The Government will introduce an open banking regime in Australia under which customers will have greater access to and control over their banking data. Open banking will require banks to share product and customer data with customers and third parties with the consent of the customer," the Australian Government says. "Data sharing will increase price transparency and enable comparison services to accurately assess how much a product would cost a consumer based on their behaviour and recommend the most appropriate products for them." "Open banking will drive competition in financial services by changing the way Australians use, and benefit from, their data. This will deliver increased consumer choice and empower bank customers to seek out banking products that better suit their circumstances," the Australian Government adds. 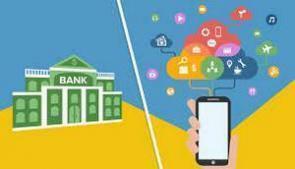 "If delivered properly, open banking will fuel competition in banking that will benefit customers by enabling them to choose the most appropriate products and services to meet their circumstances," the Australian Bankers' Association says. *This article was first published in our email for paying subscribers early on Friday morning. See here for more details and how to subscribe. "Open banking" is that what the kids are calling security breaches now? No. And if you read the story you'll understand that. What we have today is worse. All current “bank feed” companies do a variant of screen scraping, where they need access to your very valuable internet banking credentials. I don’t know about you, but there is now way in hell I trust any external company with those credentials when I barely trust my bank. The correct way to do this is to provide customers a way to generate an access token third parties can use for restricted, read only access to a small subset of banking data, and allow customers to revoke this at any time, at their discretion. Similar to how apps can access only select pieces of data when you sign in with your Facebook or Google account. I had a startup that did some parts of this but I killed it when I saw how tough it would be to get this bank data which would be a key value proposition (being able to automate the data entry part, which people hate). There are providers like Yodlee but they need your banking credentials, they’re based on India, and all it needs is a rogue employee to use those details to hack your account, transfer funds,etc. Banks won’t want to know since you’re violating their terms of service by handing out these credentials. Any move to a more secure architecture for this scenario would be great. I believe you're generally in violation of your bank's terms and conditions when you use such an app or service too, including the likes of Polipay.